Last weekend, two of my favorite creatures here in Singapore, Panda and Monkey, gave me an early birthday present. Not such a bad juggler, afterall. We we're quite pleased, hohoho. 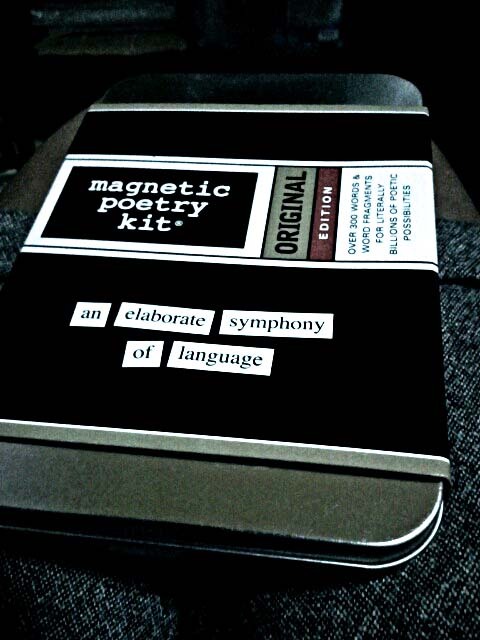 For one to become a magnetic poet, apparently one only needs to procure a set of poetic magnets! ...says one very lovable Panda. Thank you and good day/night, dear friends. i got one myself, eons ago. 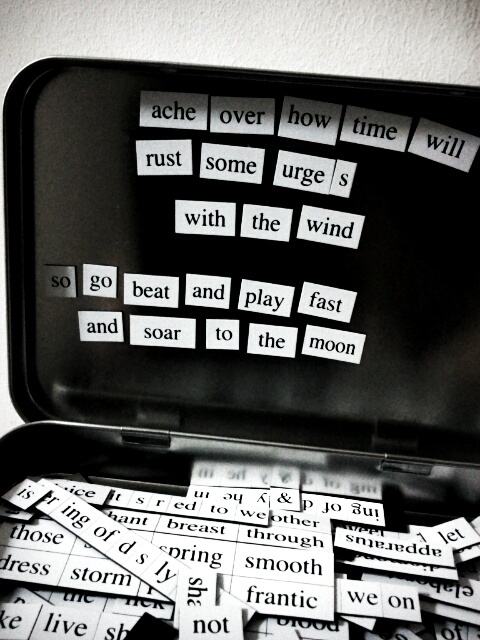 am i a wordsmith or a cunninglingus?